There is a third realm outside that which we perceive through our senses and also outside that which embodies our minds and spirits, and that realm is known as the land of the Invisible Plains and Plainly Visible. It is to this other dimension that all of those objects you have lost and sought again go. Not the objects that are lost forever, or even those that are later found in a strange and forgotten drawer or suitcase – these are the things that you know where you have put them. You have looked in the place where you last placed them a hundred times or more but they have just disappeared, and then one day, when you have given up hope of ever seeing that thing you miss, wonder how it became removed from that place you left it – it is there. You are looking in that same drawer or cupboard as you have done a thousands times, but this time you are not looking for your lost treasure, you are seeking something quite unrelated, and there it is – right on top – in as plain sight as you can ever imagine. These are the things that you cannot perceive when you are looking directly for them. When re-discovered they seem all the more precious because it is quite obvious that they must be magic. 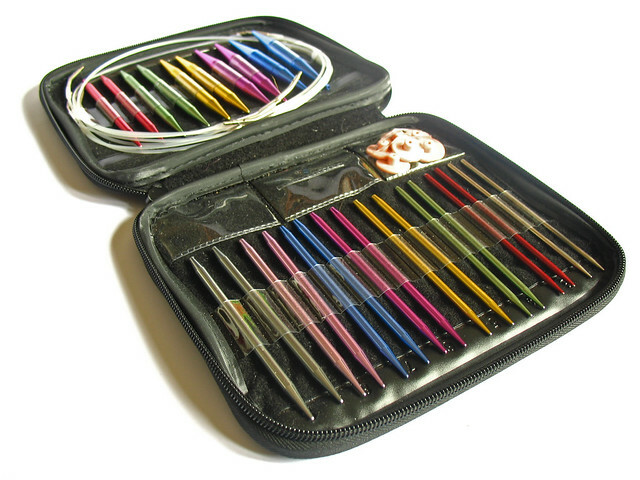 One thing I have searched my desk drawer for twenty times or more was my set of Boye Needlemaster interchangeable needles. Each pair of needles has its own designated and labelled place. Each pair is a different colour for easy selection and size matching, and the set arrives with a full compliment of 13 sizes and all the cords you could want, from the very short to the very long (and even longer still with the supplied cable-joiners.) Where the needles definitely suffer, though, is with cable flexibility. They are not the easily manipulated cords of the flashy Knitpros, unfortunately. These cables are far more resolute in the shape that they want to be (which, to be fair, is usually quite straight as they are held in place in their dedicated case. It lives with my Knitpro set now, but its home is with the Boyes. 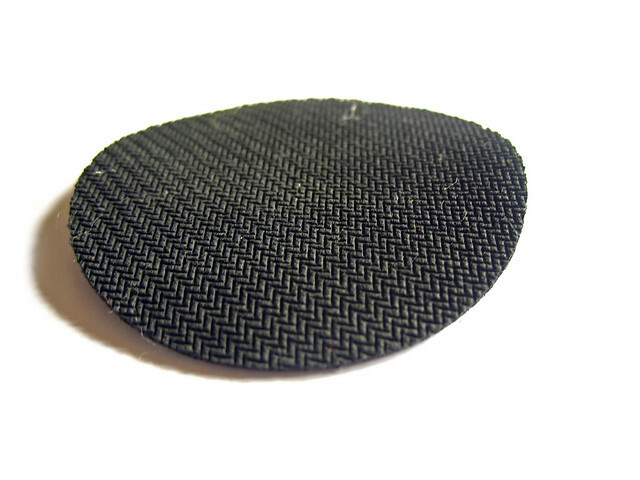 It is a little rubber pad used for gripping the needle tips as you use the little key to tighten the join between tip and cable. It is such a small inclusion, but it shows that Boye thought about how people were going to use their sets and shows that they tested them out themselves. 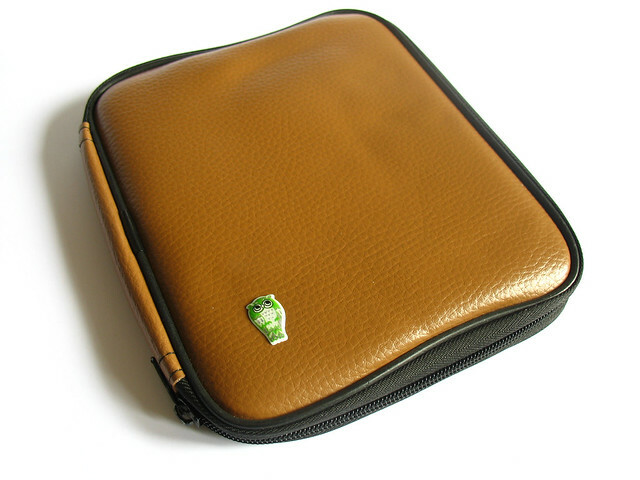 I think the same is true of the numbered sizes on the case – just little touches making things that bit easier. 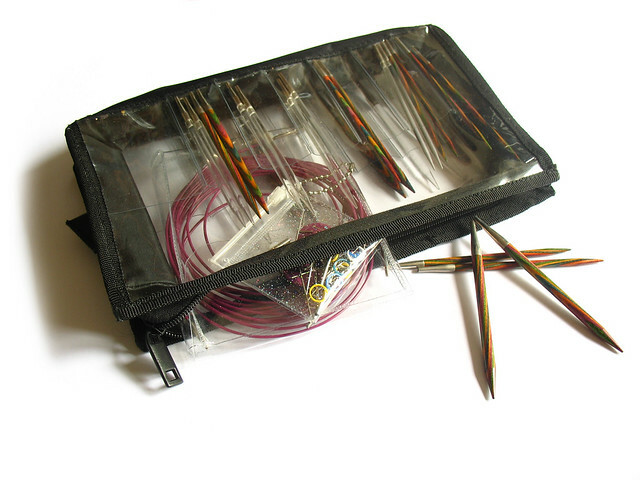 They are such small things – a tidy, sturdy case that you needles stay securely in and do not fall out of, numbered compartments for un-numbered needles, a little tightening mat – but those little things make this unfashionable, unpopular set of needles a friendly, if slightly awkward, old friend. 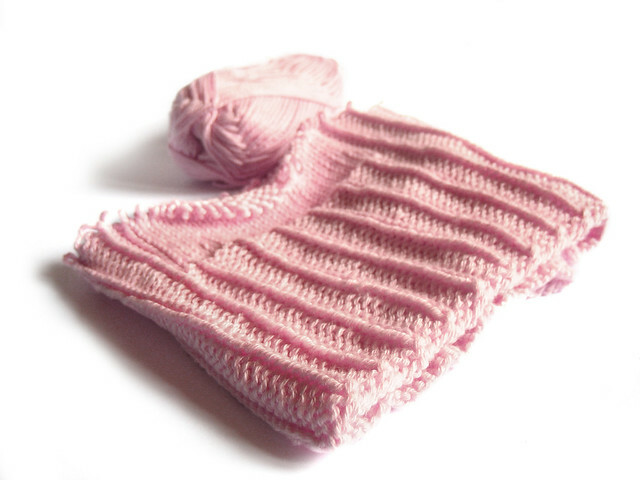 There was something else that I found on my rummage – an old, uncompleted knitting project. Actually, I didn’t ‘find’ it, I knew exactly where it was and see it often, I just try and ignore it. When my grandad was ill I started to knit my nan a hot water bottle, because I thought it might comfort her, but when he passed away i found that I just couldn’t knit on that project any more. It wasn’t the project myself or the thought of knitting something for my nan, but every time I sat down to knit, an activity which I usually found enjoyable, every stitch reminded me of that person so precious in my life who I would now never see again. That project has remained ‘on the needles’ (literally, the needles were still attached to the knitting) for over a year now. 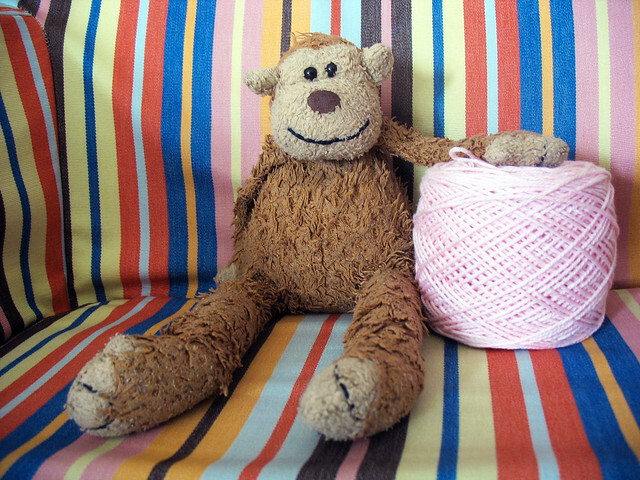 Now the yarn feels fresh and ready to use I will re-purpose it into a couple of face cloths for me – it will make for some perfect mindless TV knitting, and will make for a perfect excuse to have a bubble bath so that I may ‘try them out’. All good knits need to be rigourously tested, after all.